For reference here is the full conversation with the Catalyst from the Extended Cut. This is with Paragon conversation choices and maximum EMS. Conversation choices are in grey. Shepard: What? Where am I? Catalyst: The citadel it’s my home. Catalyst: I am the Catalyst. Shepard: I thought the Citadel was the Catalyst. Catalyst: No. The Citadel is part of me. 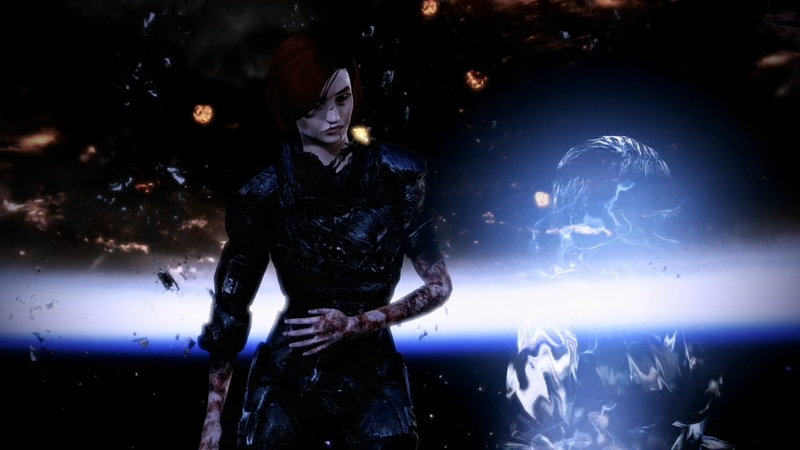 Shepard: I need to stop the Reapers, do you know how I can do that? Catalyst: Perhaps. I control the Reapers. They are my solution. Shepard: The solution to what? Catalyst: Chaos. The created will always rebel against their creators, but we found a way to stop that from happening. A way to restore order. Shepard: By wiping out organic life? Catalyst: No. We harvest advanced civilizations, leaving the younger ones alone. Just as we left your people alive the last time we were here. Shepard: But you killed the rest? Catalyst: We helped them ascend so they could make way for new life. Storing the old life in Reaper form. Shepard: I think we’d rather keep our own form. Catalyst: No you can’t. Without us to stop it, synthetics would destroy all organics. We’ve created the cycle so that never happens. That’s the solution. Shepard: You said you’re the Catalyst but what are you? Catalyst: A construct. An intelligence designed eons ago to solve a problem. I was created to bring balance. To be the Catalyst for peace between organics and synthetics. Shepard: So you’re just an AI? Catalyst: In as much as you are just an animal. I embody the collective intelligence of all Reapers. Shepard: But you were created? Catalyst: By ones who recognized that conflict would always arise between synthetics and organics. I was first created to oversee the relations between synthetic and organic life. To establish a connection. But our efforts always ended in conflict. So a new solution was required. Shepard: Where did the Reapers come from? Did you create them? Catalyst: My Creators gave them form. I gave them function. They in turn give me purpose. The Reapers are a synthetic representation of my creators. Shepard: And what happened to your creators? Catalyst: They became the first true Reaper. They did not approve, but it was the only solution. Shepard: You said that before, but how did the Reapers solve anything? Catalyst: Organics create synthetics to improve their own existence, but those improvements have limits. To exceed those limits, synthetics must be allowed to evolve. They must by definition surpass their creators. The result is conflict, destruction, chaos. It is inevitable. Reapers harvest all life. Organic and synthetic, preserving them before they are forever lost to this conflict. How is “this” not conflict? Shepard: We are at war with the Reapers right now. Catalyst: You may be at conflict with the Reapers but they are not interested in war. Shepard: I find that hard to believe. Catalyst: When fire burns, is at war? Is it in conflict? Or is it simply doing what it was created to do? We are no different. We harvest your bodies, your knowledge, your creations. We preserve it, to be reborn in the form of a Reaper. Like a cleansing fire, we restore balance... New life both organic and synthetic can flourish. Shepard: What do you know about the crucible? Catalyst: The device you refer to as the crucible is little more than a powers source. However in combination with the citadel and the relays it is capable of releasing tremendous amounts of energy throughout the galaxy. It is crude but effective and adaptive in it’s design. Catalyst: You would not know them and there is not enough time to explain. We first noted the concept for this device several cycles ago. With each passing cycle the design has no doubt evolved. Shepard: Why didn't you stop it? Catalyst: We believed the concept had been eradicated. Clearly organics are more resourceful than we realised. We’re just trying to survive! Shepard: But you’re taking away our future, without future we have no hope. Without hope we might as well be machines, programmed to do as we are told. Catalyst: You have hope, more than you think. The fact that you are standing here, the first organic ever proves it. But it also proves my solution won’t work any more. Catalyst: We find a new solution. Shepard: Why are you telling me this? Why Help me? Catalyst: You have altered the variables. Shepard: What do you mean? Shepard: The crucible changed me, created new... possibilities. But I can’t make them happen. If there is to be a new solution. You must act. It is now in your power to destroy us. But be warned, others will be destroyed as well. The crucible will not discriminate. All synthetics will be targeted. Even you are partly synthetic. Shepard: What exactly will happen? Catalyst: Your crucible device appear to be largely intact. 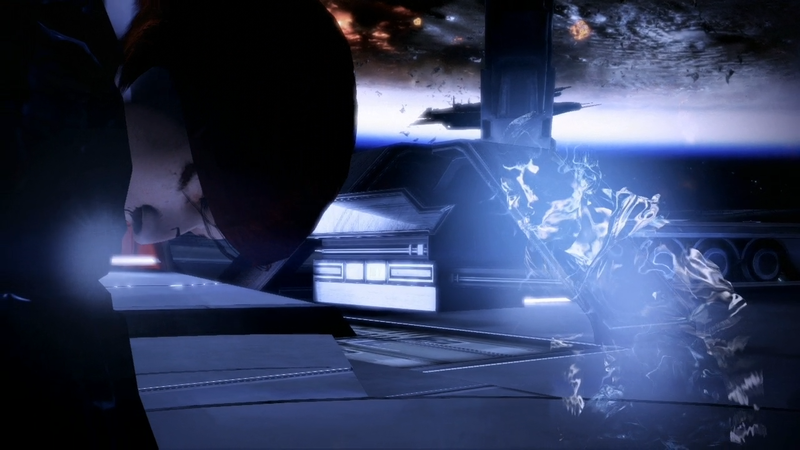 However the effects of the blast will not be constrained to the Reapers. Technology you rely on will be affected. But those who survive should have little difficulty in repairing the damage... There will still be loses but no more that what has already been lost. It will end the war? Shepard: But the Reapers will be destroyed? Catalyst: Yes but the peace won’t last. Soon your children will create synthetics and then the chaos will come back. Shepard: There has to be another way. 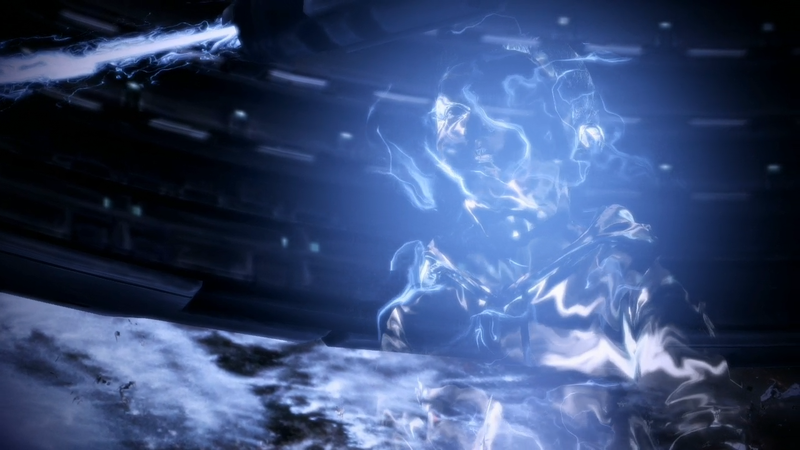 Catalyst: There is, you could instead use the energy of the crucible to seize control of the Reapers. Shepard: So the Illusive man was right after all? Catalyst: Yes but he could never have taken control, because we already controlled him. Catalyst: You will die, you will control us but you will lose everything you have. 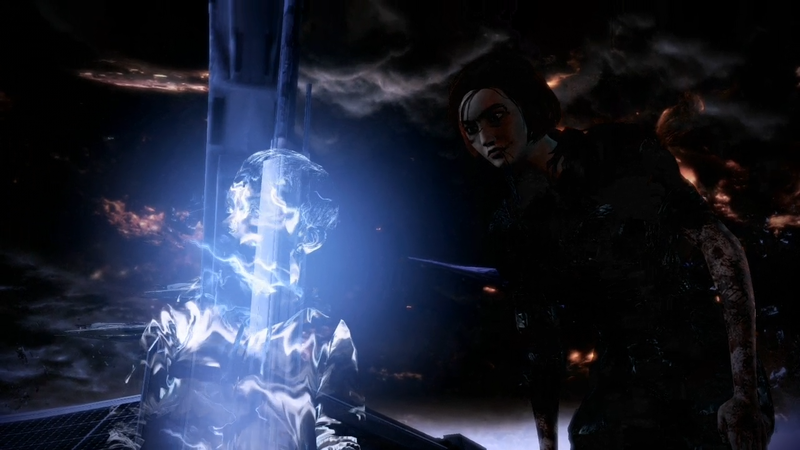 Shepard: How can I control the Reapers if I’m dead? Catalyst: Your corporeal form will be dissolved. But your thoughts and even your memories will continue. You will no longer be organic. Your connection to your kind will be lost. Although you will remain aware of their existence. Shepard: But the Reapers will obey me? Catalyst: Yes. We will be yours to control and direct as you see fit. Catalyst: There is another solution... Synthesis. Catalyst: Add your energy to the crucibles. The chain reaction will combine all synthetic and organic life into a new framework. A new DNA. Shepard: Explain how my energy can be added to the crucible. Catalyst: Your organic energy. The essence of who and what you are, will be broken down and then dispersed. Shepard: To do what exactly? Catalyst: The energy of the crucible, released in this way will alter the matrix of all organic life in the galaxy. Organics seek perfection through technology, synthetics seek perfection through understanding. Organics will be perfected by integrating fully with synthetic technology. Synthetics in turn will finally have understanding of organics. It is the ideal solution. Now that we know it is possible, it is inevitable we will reach synthesis. Shepard: Why couldn't you do it sooner? Catalyst: We have tried... a similar solution in the past. But it has always failed. Catalyst: Because the organics were not ready, it is not something that can be... forced. You are ready and you may choose it. 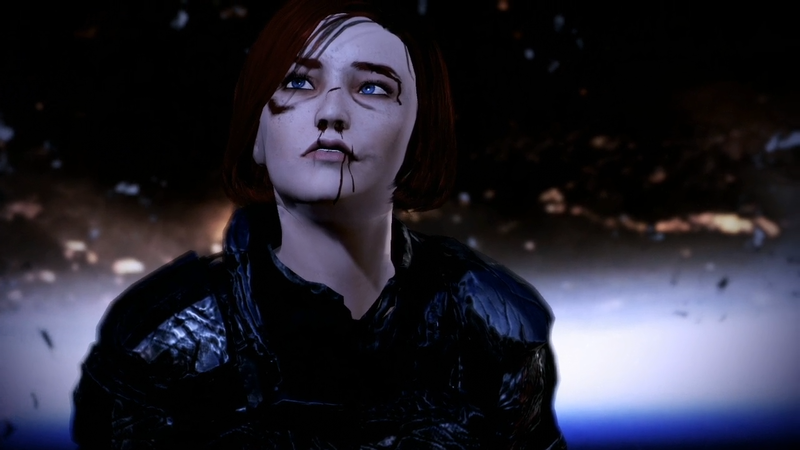 Shepard: You’re asking me to change everything, everyone. I can’t make that decision. And I won’t. Catalyst: Why not? Synthetics are already part of you. Can you imagine your life without them? Shepard: That is beside the point. Catalyst: Your time is at an end, you must decide. Shepard: Let’s get this over with. Catalyst: Do what you must.